Lesley Batchelor OBE is Director General of the Institute of Export, the professional membership body for everyone involved in international trade. Here she gives an overview of trade credit insurance (sometimes called export credit or credit insurance). Trade credit insurance (sometimes called export credit or credit insurance) is an insurance policy and a risk management product offered by private insurance companies and governmental export credit agencies (UKEF in the UK) to business entities wishing to protect their accounts receivable from loss due to credit risks such as protracted default, insolvency or bankruptcy. This insurance product is a type of property & casualty insurance, and should not be confused with such products as credit life or credit disability insurance, which individuals obtain to protect against the risk of loss of income needed to pay debts. Trade credit insurance can include a component of political risk insurance, which is offered by the same insurers to insure the risk of non-payment by foreign buyers due to currency issues, political unrest, expropriation etc. You can read more on Open to Export about how the UKEF can help you. Trade credit insurance plays a major role in helping business to trade internationally. Trade credit is offered by vendors/exporters to their customers as an alternative to prepayment or cash on delivery terms, providing time for the customer to generate income from sales to pay for the product or service. Trade credit insurance requires the vendor to assume non-payment risk. This can be in a local or domestic situation as well as in an export transaction, the risk increases when laws, customs communications and customer’s reputation are not fully understood. 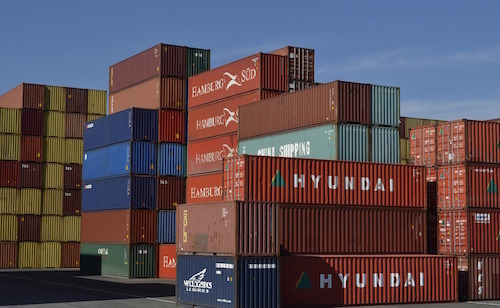 In addition to increased risk of non-payment, international trade presents the problem of the time between product shipment and its availability for sale. The account receivable is like a loan and represents capital invested, and often borrowed, by the vendor. But this is not a secure asset until it is paid. If the customer’s debt is credit insured the large, risky asset becomes more secure, like an insured building. This asset may then be viewed as collateral by lending institutions and a loan based upon it used to defray the expenses of the transaction and to produce more product. Trade credit insurance is, therefore, a trade finance tool. Trade credit insurance is purchased by business entities to insure their accounts receivable from loss due to the insolvency of the debtors. The product is not available to individuals. The cost (premium) for this is usually charged monthly, and is calculated as a percentage of sales for that month or as a percentage of all outstanding receivables. To read more about setting a credit limit and preparing for the worst, read the ‘Insure to Ensure’ article on Open to Export.